Rayos (prednisone), which is known as Lodotra in Europe, is a delayed-release formulation of low-dose prednisone. Rayos, manufactured by Horizon Pharma, was approved by the U.S. Food and Drug Administration (FDA) on July 26, 2012, for rheumatoid arthritis and several other indications. The FDA approval was based on data that compared the pharmacokinetics (i.e., how the drug is absorbed, metabolized, eliminated) of Rayos to immediate-release prednisone, as well as data from the Circadian Administration of Prednisone in RA (CAPRA-1 and 2) trials. CAPRA-2 revealed that people with moderate to severe rheumatoid arthritis who were treated with Rayos experienced a statistically significant improvement in ACR20 response criteria compared to placebo, as well as significant improvement in the level of fatigue. CAPRA-1 assessed the overall safety of Rayos. Rayos is a corticosteroid with anti-inflammatory or immunosuppressive effects used to treat certain allergic, dermatologic, endocrine, gastrointestinal, hematologic, neoplastic, nervous system, ophthalmologic, renal, respiratory, and rheumatologic conditions. With regard to rheumatologic conditions, Rayos may be used for short-term relief of an acute episode of gouty arthritis. Rayos may also be used in certain cases of ankylosing spondylitis, dermatomyositis, polymyositis, polymyalgia rheumatica, psoriatic arthritis, relapsing polychondritis, rheumatoid arthritis, Sjogren's syndrome, systemic lupus erythematosus, and vasculitis. Rayos is available as a 1 mg., 2 mg., and 5 mg. delayed-release tablet. Dosing should be individualized with consideration given to disease severity and whether patients are currently using immediate-release prednisone. The initial dose is typically 5 mg. of Rayos once a day. However, patients currently on prednisone may require a dose adjustment to make it equivalent when switching to Rayos. Rayos should be taken with food, and the tablet must be taken whole. For maintenance, the lowest effective dose should be used. Discontinuation should be gradual. The most common adverse reactions associated with corticosteroid use include fluid retention, elevation in blood pressure, change in glucose tolerance, mood changes, weight gain, and increased appetite. There are other adverse reactions possible which are associated with most of the body's organ systems. The full prescribing information for Rayos contains an extensive list. Musculoskeletal adverse reactions associated with corticosteroids include osteonecrosis of femoral and humeral heads, osteoporosis, muscle weakness, loss of muscle mass, vertebral compression fractures, and tendon rupture. Rayos should not be used by patients with a known hypersensitivity to prednisone or other inactive ingredients contained in the tablet. Patients, especially those who are treated with prednisone for an extended period of time, should be monitored for hypothalamic-pituitary-adrenal axis suppression, Cushing's syndrome, and hyperglycemia. There is an increased susceptibility to new infection and increased the risk of exacerbation or reactivation of latent infection in patients treated with Rayos or prednisone. Blood pressure, and sodium and potassium levels should be monitored. The drug can affect salt and water retention. There is an increased risk of gastrointestinal disorders, including perforation. Symptoms may be masked. Euphoria, insomnia, mood swings, personality changes, and severe depression may occur. Existing emotional instability may worsen with prednisone use. A decrease in bone density can occur. Live or live attenuated vaccines should not be given to patients taking an immunosuppressive dose of prednisone. Fetal harm may occur during the first trimester of pregnancy. Be sure that your doctor is aware of all medications and supplements you currently take. It is important to assess the potential risk versus potential benefit of treatment with Rayos. 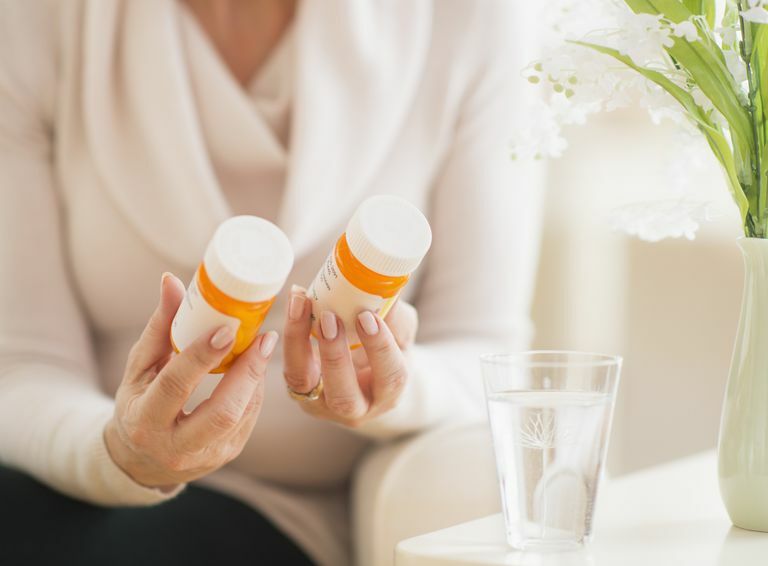 How does Rayos differ from immediate-release prednisone? In clinical trials, Rayos was administered at 10 pm with food. The delayed-release aspect of Rayos allowed the therapeutic level of prednisone in the blood to occur when cytokine levels started to increase in the middle of the night. This mechanism of action may provide better control of inflammation in some patients.